A comprehensive study was conducted to determine the soil to plant transfer factor (TFS–P) of K-40, Cs-137, Th-232 and U-238 in perennial plants from accessible areas of Mumbai, using high-resolution γ spectrometry. A total of 50 soil and 150 plants samples were collected from all over the Mumbai region where lithology is dominated by basaltic rocks. 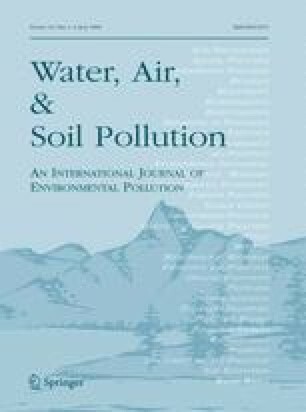 The mean concentration values for K-40, Cs-137, Th-232 and U-238 in soil was 170.06 ± 65.36, 5.19 ± 1.20, 25.72 ± 6.262 and 10.21 ± 2.82 Bq kg−1 respectively, whereas in case of plants the mean concentration values were determined to be 181.82 ± 18.50, 0.44 ± 0.14, 0.84 ± 0.19 and 0.79 ± 0.22 Bq kg−1 respectively. The mean activity ratio of Th-232/U-238 in plants is 1.06 while in soil the ratio is 2.5. The soil to plant transfer factor (TFS–P) calculated for K-40, Cs-137, U-238 and Th-232 are 1.05, 0.076, 0.071 and 0.031 respectively. Higher value of TFS–P for K-40, which is an integral part of stable potassium clearly indicates the physiological need of stable potassium, for maintaining the different biological mechanisms of perennial plants under tropical conditions. The authors sincerely acknowledge the guidance and help provided by Shri M. L. Joshi, Head, Health Physics Division and Dr. A. G. Hegde Head, Environmental Studies Section. Thanks are also due to Shri H.S. Kushwaha, Director, Health, Safety and Environment Group, Bhabha Atomic Research Center, for his keen support.